The collaborative — which was established under the National Academies — is comprised of a group of universities who plan to work together to study gender-based harassment in the sciences. The list of participating universities is not yet finalized, but Harvard is one of the collaborative’s 28 founding members. 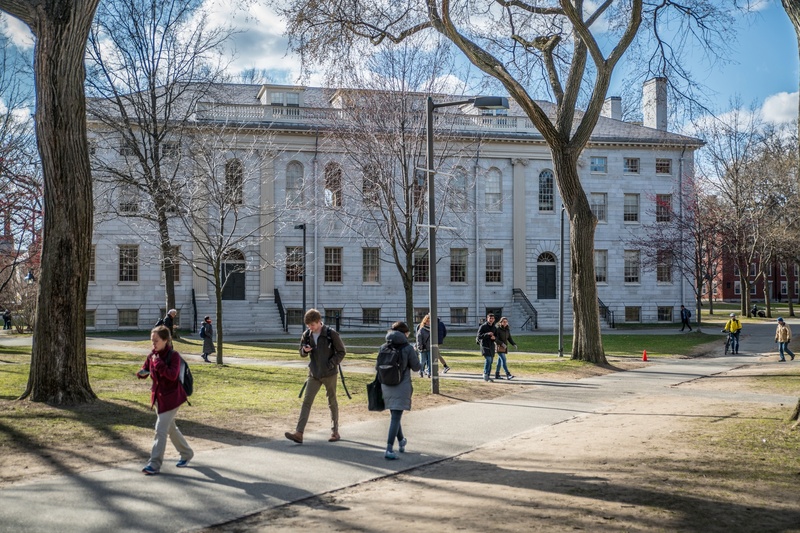 The project will last at least four years, and the group will hold two meetings annually, according to Deputy Provost Margaret E. Newell who will serve as one of Harvard’s representatives in the collaborative. Over that period, the collaborative aims to achieve four main goals: raise awareness about sexual harassment, share “evidence-based institutional policies,” set a research agenda, and create a standardized method for measuring progress. Dr. Frazier Benya, the National Academies staff member in charge of the collaborative and study director for the 2018 report entitled “Sexual Harassment of Women,” wrote in an email that the inspiration for the collaborative came from discussions with universities about the report. “They often asked what ideas and strategies other institutions were pursuing to follow the recommendations in our report and they wondered what those institutions had found was working,” she wrote. The National Academies have formed action collaboratives about other issues in the past, which Frazier said inspired the idea to use the model to address sexual misconduct in academia. “It seemed clear that this model would work well for assisting institutions with sharing their new ideas and promising practices,” she wrote. Harvard reached out to the collaborative shortly after the report was published, according to Newell. Both she and University Title IX Officer Nicole M. Merhill will be involved in the collaborative in the coming months. The group will conduct its research via four different working groups, each with a different focus. Newell said the working groups will research topics like best practices for helping victims of sexual harassment and ideas for restructuring policies to decrease misconduct. In March, representatives from the founding members of the collaborative, including Newell, will meet to concretely determine what each working group will research. Though the collaborative is a research initiative and not a policy program, Merhill and Newell both said they hope policy changes will result from its findings. “One area that you might see some movement on, through conversations as a result of the National Academies’ report, is what is called ‘gray areas’ of misconduct,” Merhill said. She added that there may be an opportunity for the collaborative to discuss how to develop a policy that addresses these gray areas, which are typically understood as incidents of misconduct that do not fall under the specific standards for sexual harassment. In addition to discussing the collaborative’s potential to influence policy, Newell also referenced its applicability to disciplines beyond the sciences. —Staff writer Simone C. Chu can be reached at simone.chu@thecrimson.com.Follow her on Twitter @simonechu_.